This view of Enceladus is from about 83,000 kilometers. The moon is captured in winter. It’s north pole is to the upper left, while its south pole is obscured by darkness in the lower right. Courtesy NASA, Jet Propulsion Laboratory, Space Science Institute, Justin Cowart. As NASA’s Cassini probe continues its exploration of Saturn and its moons, it sends home some amazing images of that distant region of our solar system. Tethys (above the rings), Enceladus (just below center and below the rings), and Mimas (below and to the left of Enceladus) appear in this image obtained by Cassini in visible light on Dec. 3, 2015. Courtesy NASA, Jet Propulsion Laboratory – California Institute of Technology, Space Science Institute. Tethys’ diameter is about 1,066 kilometers. The cratered moon orbits Saturn from a distance of about 294,600 kilometers. That is about 20 percent farther from Saturn than the Moon is from Earth. Tethys is slightly less dense than liquid water, which suggests that its structure is mostly ice. This frigid moon is tidally locked to Saturn – it does not rotate and only one side of Tethys faces Saturn. Enceladus is smaller than Tethys, with a diameter of about 500 kilometers. The host of a sub-surface liquid water ocean, Enceladus is covered by water ice and reflects nearly all the sunlight that hits it. That makes it a very cold satellite. The surface temperature on the moon is about -201 degrees Celsius. It orbits Saturn from a mean distance of about 238,000 kilometers, which is about the same distance as Earth’s satellite is from our planet. This whimsical poster depicting Enceladus is part of NASA’s Visions of the Future project. 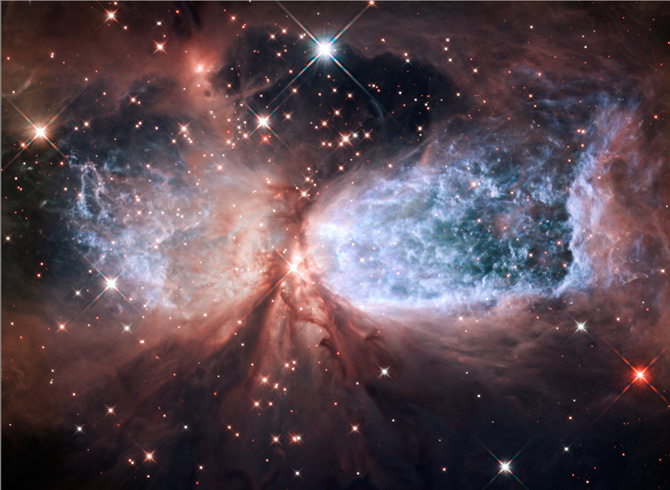 You can see more at http://www.jpl.nasa.gov/visions-of-the-future/. Courtesy NASA, Jet Propulsion Laboratory – California Institute of Technology. Mimas is the smallest of Saturn’s major moons. 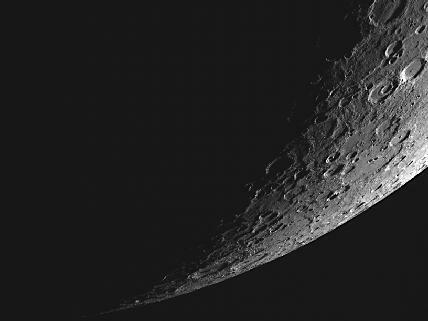 It is heavily cratered, with a giant crater called Herschel stretching across about one-third of its surface. That feature has led Mimas to sometimes be called the “Death Star moon” because it evokes the fictional planet-destroying spacecraft in the Star Wars films. Mimas’ diameter is about 400 kilometers; it orbits Saturn from a mean distance of about 200,000 kilometers. 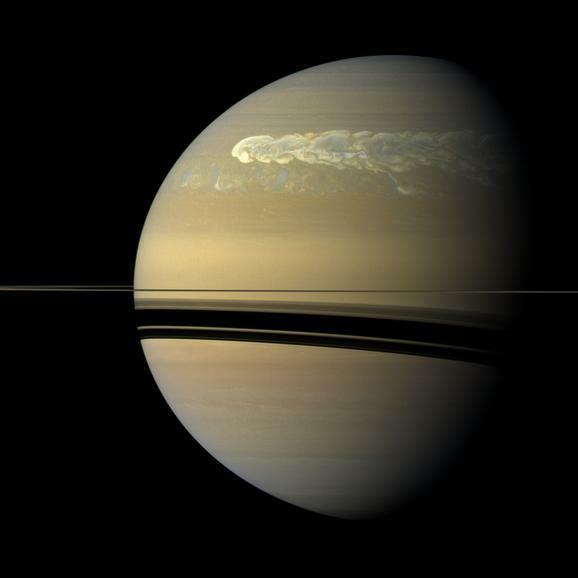 NASA’s Cassini probe is in its last year of operation, continuing to explore the Saturn system, and it seems appropriate to look back at some of the amazing images the spacecraft has sent home to Earth. This one was taken on August 17, 2015, during the probe’s last flyby of Saturn’s moon Dione. Icy Dione, as seen by Cassini last August. You can see some of the rings of Saturn, as well as the solar system’s second largest planet, in the background. Courtesy NASA. Dione (Di-OH-nee) is a small moon, with a diameter of only about 1,120 kilometers, and it orbits Saturn at about the same distance as the Moon orbits Earth. Covered by ice for which one of Saturn’s rings is the main source, Dione has many craters. 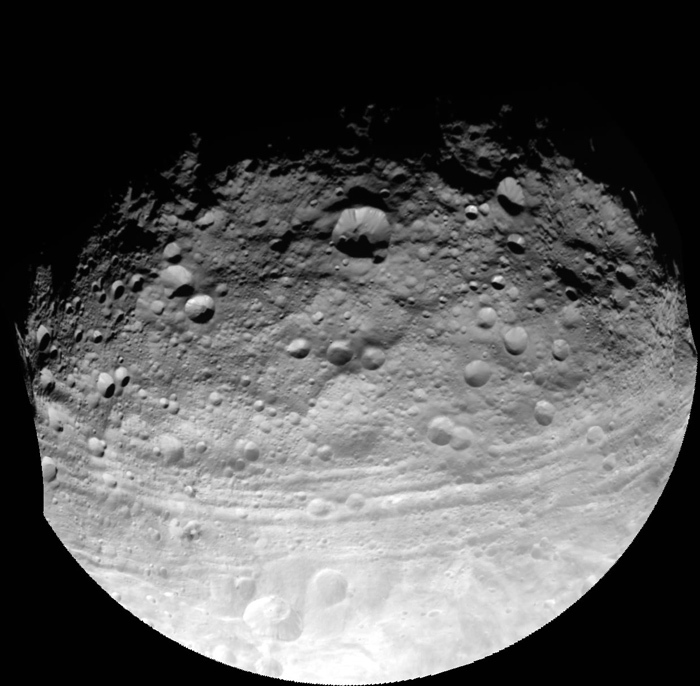 Some are as large as 100 kilometers across. Like Earth’s sole satellite, Dione does not rotate. Only one side of the moon ever faces Saturn. Giovanni Cassini discovered Dione in 1864. The moon takes its name from the mythological Greek goddess who was said by Homer to be the mother of Aphrodite.